New York Painting Services is a painting contractor that offers additional construction services to commercial entities and residential homes throughout New York and New Jersey. We are completely licensed and insured to offer our professional expertise at affordable rates. 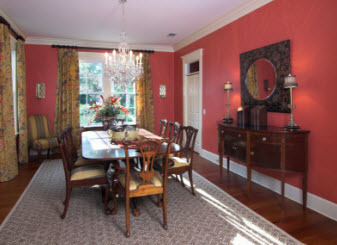 At New York Painting Services, we are dedicated to bringing our customers a phenomenal experience. In so doing we diligently apply friendly customer service, high moral standards and work ethics. We incorporate these attributes in every superior execution of services rendered we perform. 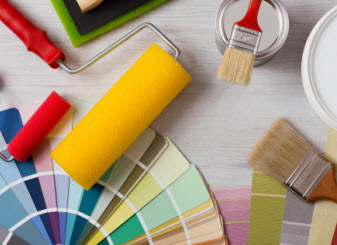 At New York Painting Services, our technicians are more than qualified to conduct any services we offer, with advanced training, years of experience and remarkable skills. In addition to having the best in the business, we utilize high-end products, materials, and equipment sold only to licensed professionals to ensure our customers receive nothing less than premium results. New York Painting Services caters to many businesses across New York and New Jersey, retail entities are among them. Services can include; Interior and Exterior Painting, Drywall and Plaster Repair, Decorative Faux Finishing, Custom Murals, Installation of Crown Moldings, Chair Rail and Baseboards, Wallpaper and Covering Removal and Installation, Door and Window Replacement, Stripping and Refinishing Woodwork, Stain and Refinishing Woodwork, Carpentry Repairs, Structural Steel Painting, Epoxy Coatings, Elastomeric Coatings, Corrosion Controlled, Multi-colored Coatings, Floor Safety Markings, Application of Intumescent and Fire-retardant Paint, Concrete Finishes, Exterior Pressure Washing, Water or Flood Damage, and so much more. Retail stores throughout New York and New Jersey rely on visually aesthetic interiors and exteriors in order to make a first impression and attract new customers and retain regulars. Unfortunately in the retail world, books are often judged by their covers in a manner of speaking. A drab, run down retail building will be quickly dismissed; the eye-popping well kept and maintained retail store attracts guests and increases revenue. Any store can have premium quality with their inventory, but if the exterior and interior do not reflect that quality of merchandise, customers will look for the other options. The different retail spaces and stores require different décor and styles. A store specializing in urban clothes, for example, will need to have a more mature and trendy look as opposed to retail shop that the demographic is more for children. Getting one service or multiples to enhance the appearance of your retail shop has its benefits. With New York Painting Services performing the services, you can have peace of mind that your projects will look amazing and attract the customers. 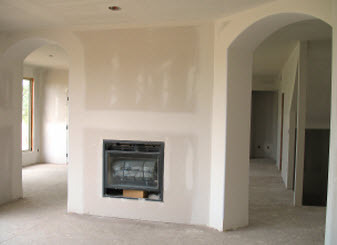 Our technicians will complete the projects quickly and efficiently from start to finish. Many retailers in the Brooklyn, Manhattan, Yonkers, Tarrytown, Bronxville and White Plains New York areas have taken advantage of the extraordinary projects that New York Painting Services provides. Our experts have the expertise and skills to execute any services we provide with ease and the finished products will have you using New York Painting Services for all of your future projects. If your retail establishment is in need of services, contact New York Painting Services today and let us do the rest.